Hedged in by gossip and joined by their desperation, three women in nineteenth-century Ireland are drawn together in the hope of rescuing a child from a superstitious community, determined to rid itself of the strange and unknowable. Bereft after the loss of her husband, Nora finds herself alone and caring for her young grandson Micheal--a boy whom she recalls as having been a happy and healthy infant but now, in the wake of both his mother's and grandfather's deaths, can neither speak nor walk. Mary, a servant girl from more rural parts, comes to the valley to help Nora just as the rumors are spreading: the talk of unexplained misfortunes and illnesses, and the theory that deformed Micheal is a changeling, a fairy child to blame for the bad luck the valley has endured since his arrival. As the trio's situation grows more dire, their folkloric practices become increasingly daring--culminating, at last, in a stunning and irreversible act that will put all their lives in danger. Terrifying, thrilling, and wholly original, THE GOOD PEOPLE is a startling examination of absolute belief and superstition taken to their extremes, of the universal yearning to belong, and of love, both tender and harsh. Some folk are forced to the edges by their difference. … But ’tis at the edges that they find their power. I really, really loved Hannah Kent’s Burial Rites, and I read that when it was Waterstones’s pick of the month. I was swept away by the atmospheric writing and the compelling story, so when I head that Hannah Kent was releasing a new book, I requested it and moved that book to the next spot in my reading list. 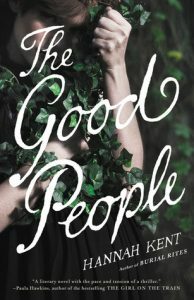 The Good People is a stellar sophomore novel that weaves together the stories of three women who are involved in the horrific treatment of a child whom the women believe is a fairy changeling in a tiny village in Ireland in 1825. In the beginning of the novel, Nora’s husband Martin dies, leaving her with her daughter’s four year old son Michael who has an unnamed disability in which he cannot speak and cannot fend for himself. Nora finds it difficult to care for the child and her household as a widow with no family on which she can rely, so she hires a girl named Mary to help with the work. When she can’t handle Michael even with Mary’s help, Nora enlists the help of Nance, the local woman trained in the art of natural healing. With the arrival of the new priest in the village, Nance is beginning to be considered a witch and evil and as a result an outcast, but she attempts to cure Michael to prove her skills to herself and to the village. Each “cure” that these women try become increasingly more dangerous until the final act is horrifically devastating. The Good People is an atmospheric novel that balances the struggles these three women face in a changing society and the risks they must take in order to survive, no matter how dubious those risks are. It is interesting how Kent uses the tropes of the three women (the crone, the mother, and the virgin) to explore the actions and reactions of these women and the actions and reactions of others to these women. Kent also explores how the ideas of poverty and the lack of education in rural areas and ignite a fiery fear toward anyone who is different or toward the unexplainable. The best part of the novel is the last third, when everything culminates in an emotionally charged trial that showcases the growing rift between the old ways of thinking (believing in fairies, believing in changelings, and a reliance on old folklore, old pagan traditions, and old wives’ tales) and the new (following the Christian tradition and following new medical practices). The only drawback I found to The Good People is the long set up to get to the more thrilling parts of the story. I felt like a third of the novel focuses on the slow development of Nora and Mary’s experiences with Michael, and a third of the novel focuses on Nance and a fairly long account of her life. At the end, I found this knowledge of their lives enriching to the heartrending trial, but before that, I found myself getting a little bit bored and wondering when the story would ever pick up. If you are turned off by a long build up, this might not be the novel for you. 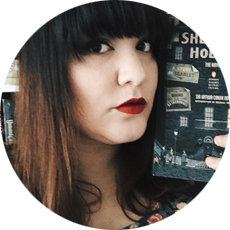 But if you are interested in novels about the experiences of women in certain periods of history, the collision between the old ways and the new, and compelling trials, this is one you you’ll want to add to your reading lists as soon as possible. An advance readers copy was provided to me for review by Little, Brown & Co. and Netgalley. All opinions are my own.